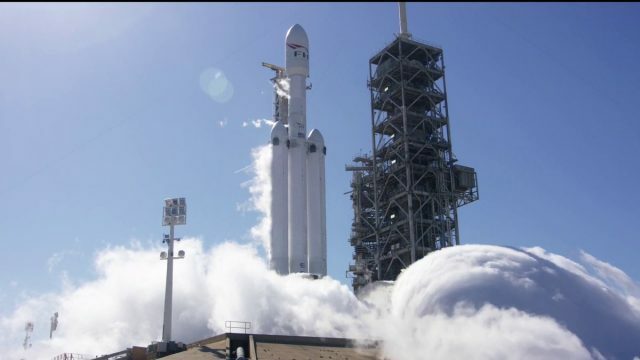 SpaceX’s recent Falcon Heavy launch may have been lauded as a momentous occasion by many, but it may only have been a curtain-raiser for what’s to come in the near future. The SpaceX calendar is chock-a-block this year with at least three more major events lined up before we say Hello to 2019. First off, there’s the Falcon Heavy launch 2.0, which is scheduled for June. However, it’s less likely to be a repeat of the test launch from this week. Now that it has passed the test-payload phase with flying colors, the Falcon Heavy will have real payload that will include Lightsail, the solar sailing spacecraft developed by The Planetary Society. It will also have the Deep Space Atomic Clock that’s expected to help astronauts keep time while in the outer space. It will also take a bunch of military and private satellites with it for good measure. There’s another thing. With the first launch, the 5 million pounds of thrust, two autonomous booster landings and successful delivery of Elon Musk’s Tesla were enough to blow people’s minds. The second installment will also apparently attempt a third booster landing that didn’t quite materialize this time around. The next thing to watch out for is whether SpaceX will actually attempt the promised water landing of its fairing. It’s far from certain, and researchers are yet to figure out how to do that, but Musk has expressed hope that SpaceX engineers will be able to figure it out within the next six. However, given that it has proven to be notoriously difficult up until this point, I won’t be holding my breath for it if I were you. However, in the press conference immediately after the successful launch of the Falcon Heavy, Elon Musk made it explicitly clear that the biggest even of the year, by far, will be the flight of the Dragon 2 capsule into space with crew on-board. According to Musk, “After Falcon 9 and Falcon Heavy Block 5, it’s all hands on deck for Crew Dragon. We’re aspiring to fly a crew orbit by the end of this year. I think the hardware will be ready”. The question is, with Space X’s patchy safety record over the past couple of years, will the astronauts be ready to take that leap of faith? We’ll find out soon enough.